The 2012 baseball season is upon us. The opening game has been played in Tokyo already, but the rest of the league doesn’t begin until next week. That’s why we thought it appropriate to bring you our picks for some of the best baseball apps for Android. Whether you’re looking for news, scores, live streams of games, or fantasy apps, we’ve got you covered. 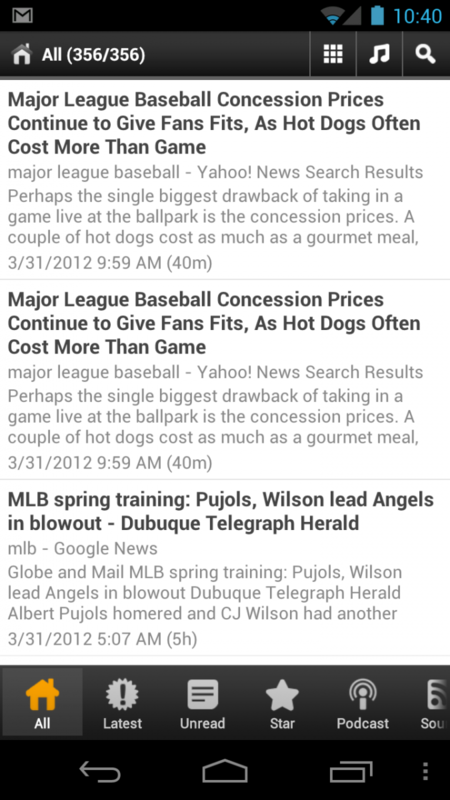 Baseball season is a long one and therefore it’s much more important to keep up-to-date via your mobile device. 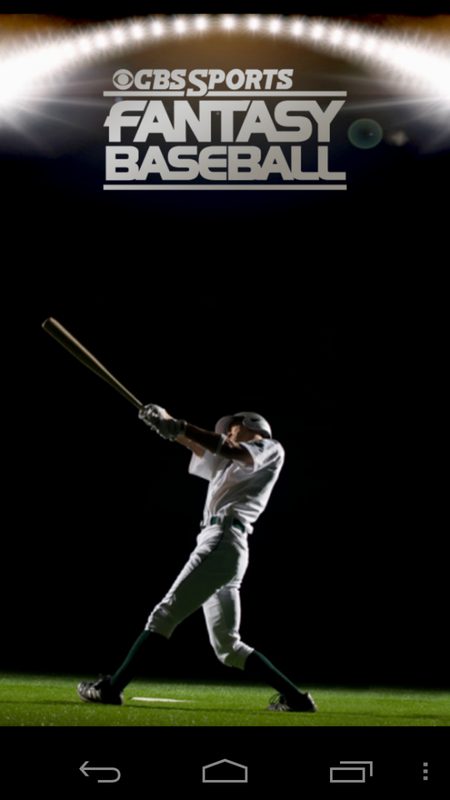 Looking for a few good baseball apps? Here we go. 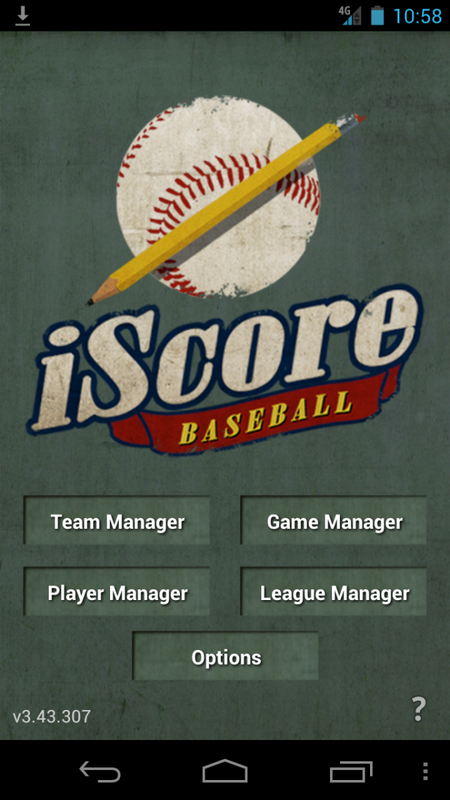 If you’re a stats geek who loves to keep track of gameplay, the iScore Baseball app is perfect for you. This paid app allows you to record an entire game of stats right on your Android device. MLB Baseball News is an app that focuses on doing one thing really well: provide you the latest baseball news from around the league. There are sports apps that provide news for all sports including baseball, but since this one focuses on one sport, you know you'll get the most in-depth look around the MLB. If you’re a fantasy player on ESPN, you’ll want to check out this free app. 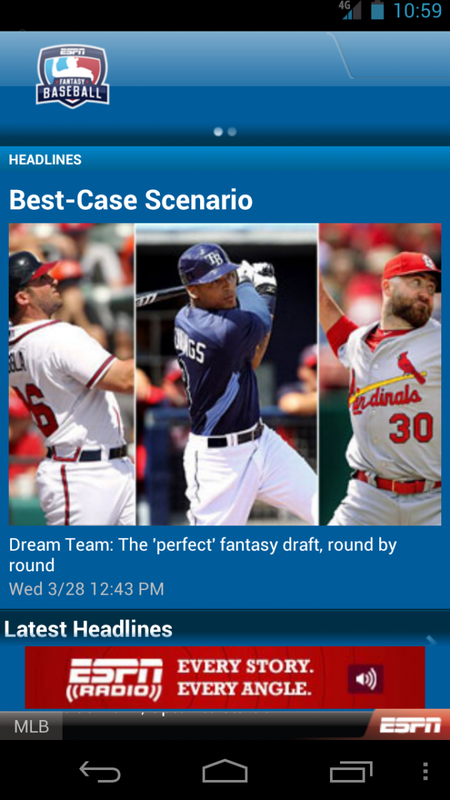 With it, you’ll be able to manage your entire ESPN fantasy baseball team right from your mobile device. You can start or bench players, put in waiver claims, manage trades, view live scoring, post to the message board and view fantasy news. If you own a fantasy baseball team over at CBS, you’ll want to download this free app to manage your team. With the app, you can manage your lineup, add and drop players, view pending transactions, read player news, and manage multiple teams if you play in more than one league. 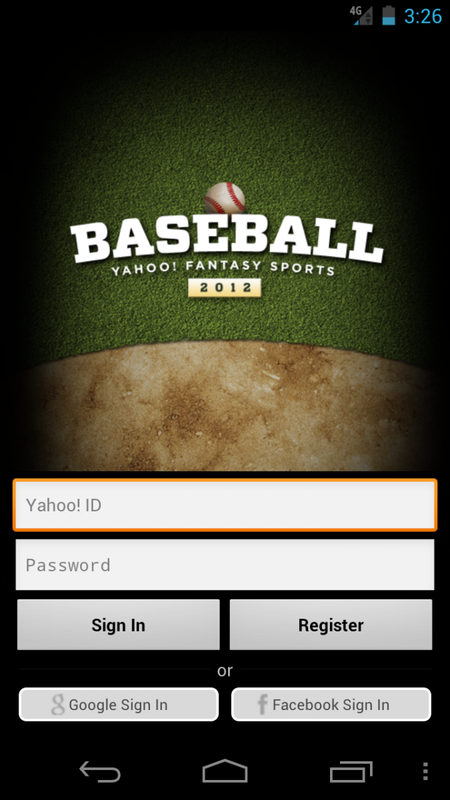 For the fantasy player who prefers to play on Yahoo!, this app works for you. This app gives you free fantasy scoring updates and gives you the ability to manage your roster, including making changes to your lineup on-the-go, proposing trades, and dropping players. 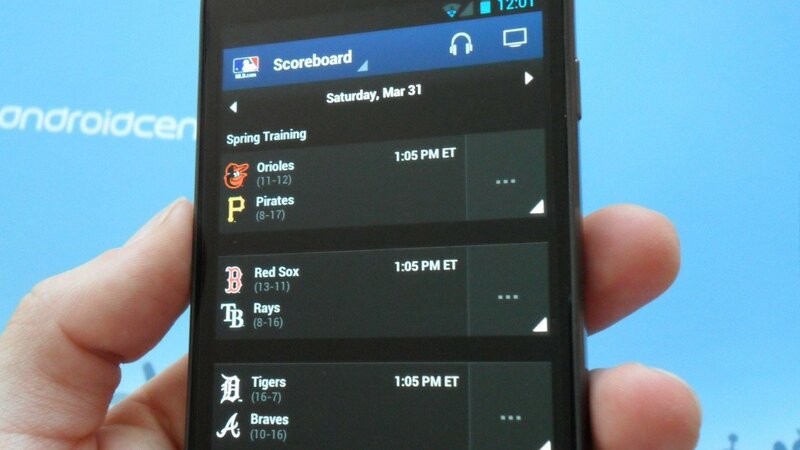 MLB At Bat is the official app from the MLB and comes in two different versions: Lite and Premium. It is the ultimate experience if you're a baseball fan. One thing to mention first. 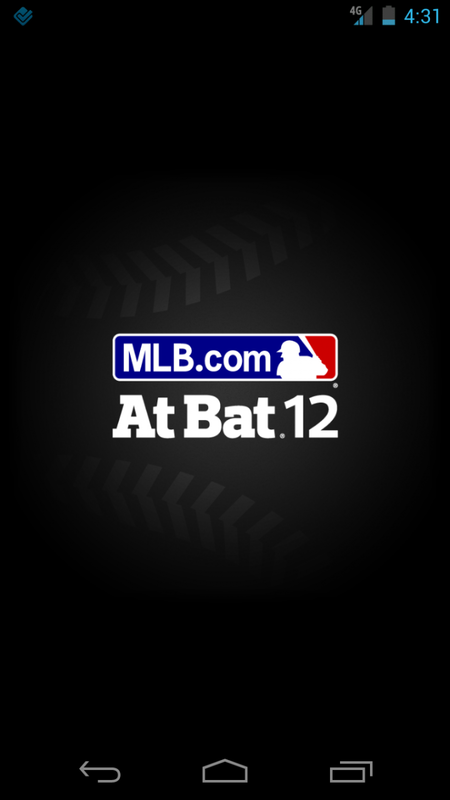 If you are already an MLB.TV subscriber, you do not need the premium version of the app to access live streams of games. You can download the Lite version and log-in with your username and password. The Lite version allows you to access box scores, news, view standings, and set-up a favorite team to track. The Premium version brings a lot more features, which it should when you’re paying $14.99. Aside from all of the Lite features, with the Premium version you can access Gameday real-time pitching tracker, listen to live radio broadcasts, watch in-game highlights and the live free game of the day, as well as live look ins.